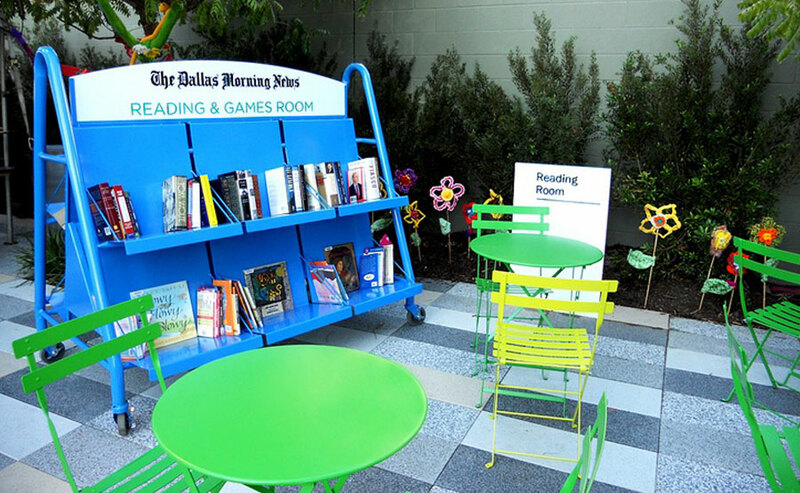 The Dallas Morning News Reading & Games Room is an outdoor salon where book clubs, classes and discussion groups gather to trade ideas. It also plays host to Ideas in Bloom, a seasonal weekly speaker series featuring authors, artists and some of the city’s greatest thinkers. Books, board games, shaded seating are offered in a comfortable outdoor space in Kyde Warren Park, Dallas, TX. Visitors only need a driver’s license to get access to the facilities.